Price: Complexity of vessels in the piece drives the price. 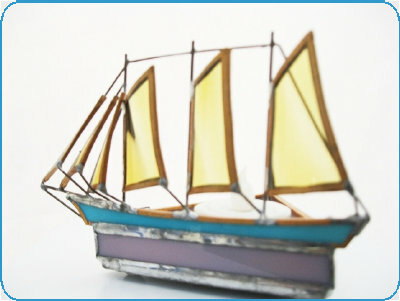 Schooner Victory Chimes Votive Candle Holder. Triangle base holds votive candle or led light fake candle.